You spend a lot of time at work; as such, we have many services and offerings, such as dining and golf course discounts as well as financing electronics at Wolfpack Outfitters. to complete the Partnership for America’s Healthiest Campus Initiative. All dining locations, including restaurants and dining halls are open to the public and campus community, including faculty and staff. 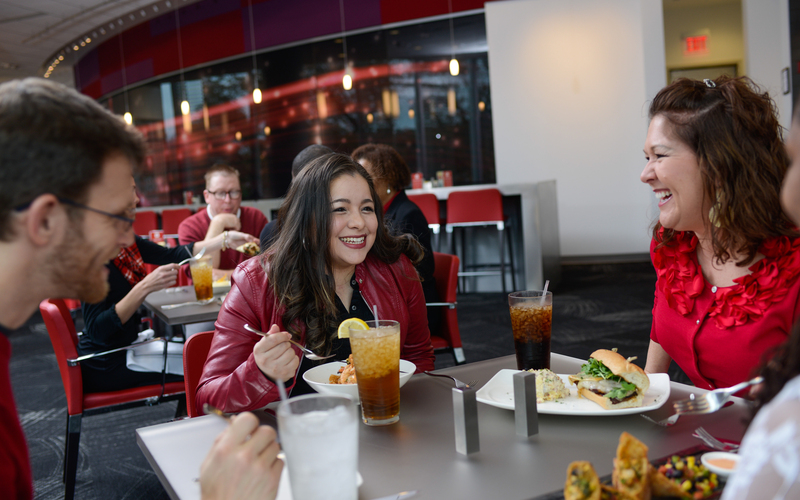 Visit dining.ncsu.edu for menu information and hours of operation. You will also be enrolled in our monthly email to learn more about upcoming events, featured menu items, cooking demonstrations, faculty/staff meetups and other news. To sign up for payroll deduction, visit go.ncsu.edu/incredible-savings-club. 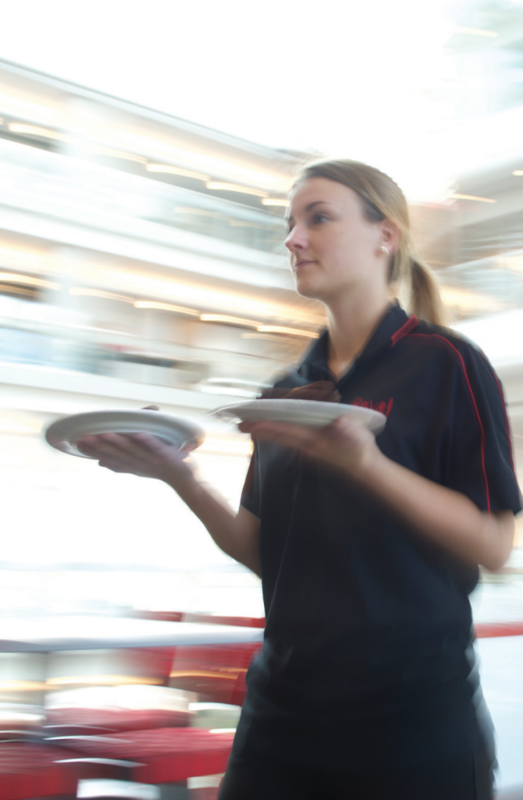 Looking for table service on campus? Our fine-dining locations offer a lineup of house-made and signature menu items prepared by our award-winning culinary team. Located above Wolfpack Outfitters on the third floor of Talley Student Union. This restaurant offers appetizers, entrées, flatbreads, small plates and desserts. Watch this award-winning culinary team prepare your meal in the kitchen that opens to a bright, modern dining space overlooking Cates Avenue. Lunch served daily 11 a.m. – 2 p.m. 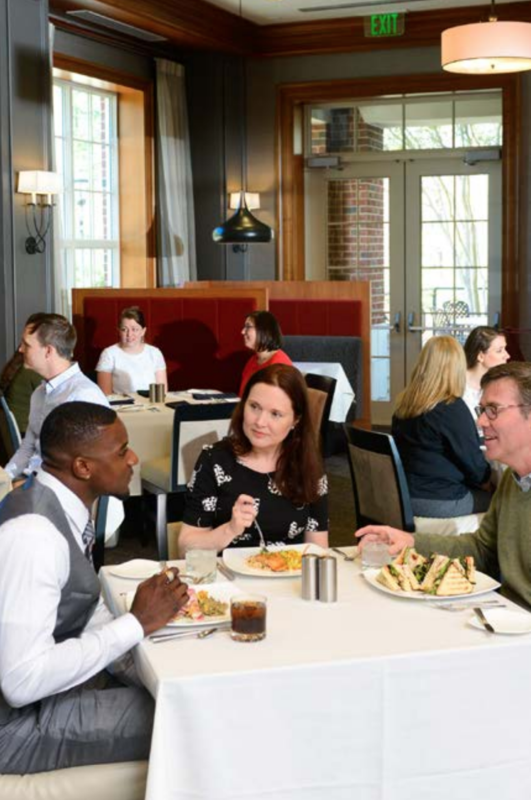 Features a dining room and outdoor patio seating with a sweeping view of the golf course, Centennial Campus, and the downtown Raleigh skyline. The menu includes house-made appetizers, salads, sandwiches, burgers, entrées, and desserts. Weekday lunch 11 a.m. – 3 p.m. with an afternoon menu until 7 p.m. Brunch on the weekends. Indoor and lakeside seating within the Park Alumni Center on Centennial Campus. This elegantly appointed restaurant offers salads, sandwiches, entrées and desserts. No membership required for lunch. Open Monday – Friday from 11 a.m. – 2 p.m.
Our campus bakery is located in Talley Market. Stop in for a treat or try out the online portal to order custom cakes and house-made desserts. This is especially handy for birthdays and holidays. We offer three subsidiaries with services not just for students but for staff, too. Save on technology with payroll deduction, take advantage of sales and specials on Wolfpack gear, print invitations, cookbooks and more with Wolf Xpress and create t-shirts for your bowling league at State of the Art. Learn more below. Wolfpack Outfitters is your official campus bookstore. From apparel to gifts to technology, you will find everything you need to be an official member of the Pack. Wolfpack Outfitters has brick and mortar locations on both main and Centennial Campus: the flagship location at Talley Student Union, as well as a satellite location in the Wolf Ridge Housing Complex next to On the Oval Culinary Creations. 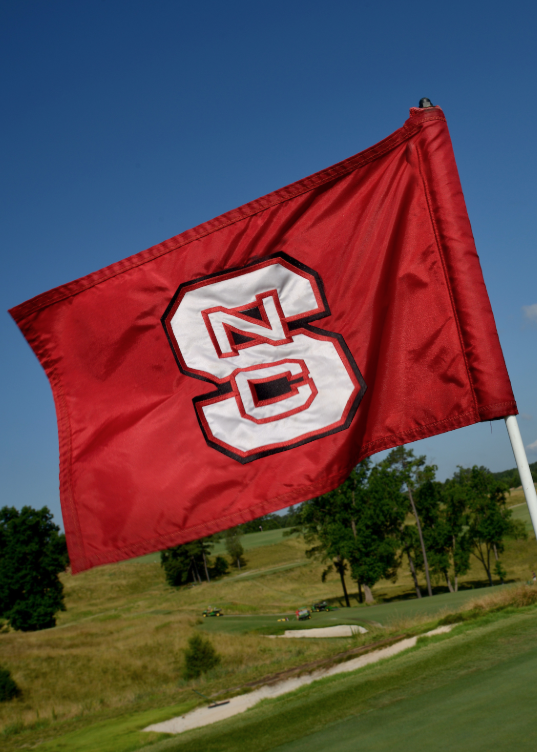 You can also find us at major NC State Athletics events as well as online at shop.ncsu.edu. We offer full-time, permanent NC State employees an opportunity to buy computers, tablets and accessories through payroll deduction. Purchases are made through an initial down payment at the time of purchase, followed by six or twelve monthly interest-free payments made through payroll deduction. Faculty employed nine to eleven months of the year will have their pay deducted during the bi-weekly or monthly periods when they receive their salary. No payments are due during the time that they are not on the university payroll. Services are available to staff, too, providing a convenient way to order printed materials and have them delivered to your office. Consider Wolf Xpress for special occasion printing, school, church, family and club projects, too. State of the Art offers custom t-shirt designs and on-demand full-color shirt printing. Order one or a hundred; your shirts will be printed onsite with our anajet t-shirt printer. For departments, State of the Art is a great resource for university-branded staff shirts, jackets and promotional products. Staff can also enjoy the convenience of an on-campus resource for custom-designed t-shirts and<br />promo items when planning family reunions, special events and more. Choose from hundreds of products. Talley Student Union is maintained and operated by the NC State Student Centers and its talented team of student employees and staff members. 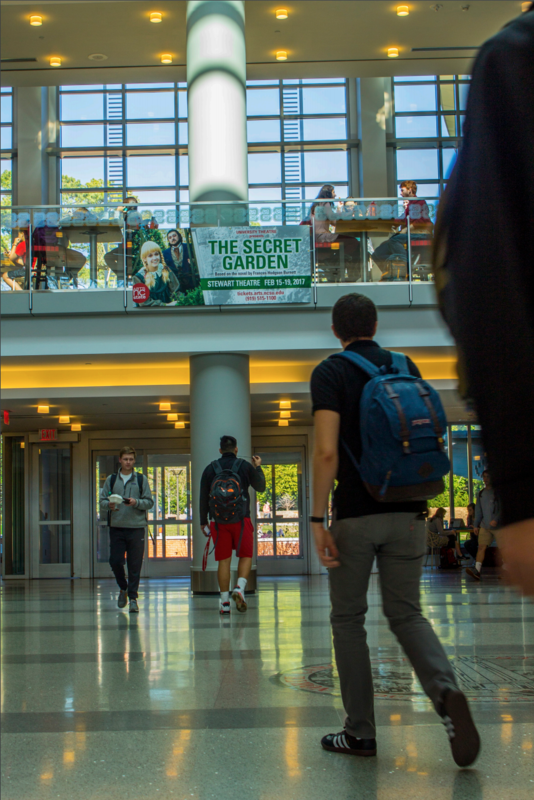 Talley is home to many Campus Enterprises units as well as campus partners focused on student success, including the Women’s Center, Student Involvement, GLBT Center, Leadership and Civic Engagement, the University Activities Board and more. Talley is a must-see destination and serves as the heart of campus life. It features a variety of open spaces that are available on a first-come, first-serve basis for impromptu meetings or just to get out of the office for a change of workspace. With covered outdoor seating, elevated seating on the south terrace or a table outside by Stafford Commons, there is sure to be a space for you to enjoy a scoop of Howling Cow ice cream from Talley Market. As a member of the NC State staff, you received your ID card during your orientation. Your first card is issued free of charge. Should your card be lost or stolen, contact the Wolfpack One Card office immediately. Replacement cards are $20. Expired cards can be renewed at no expense. 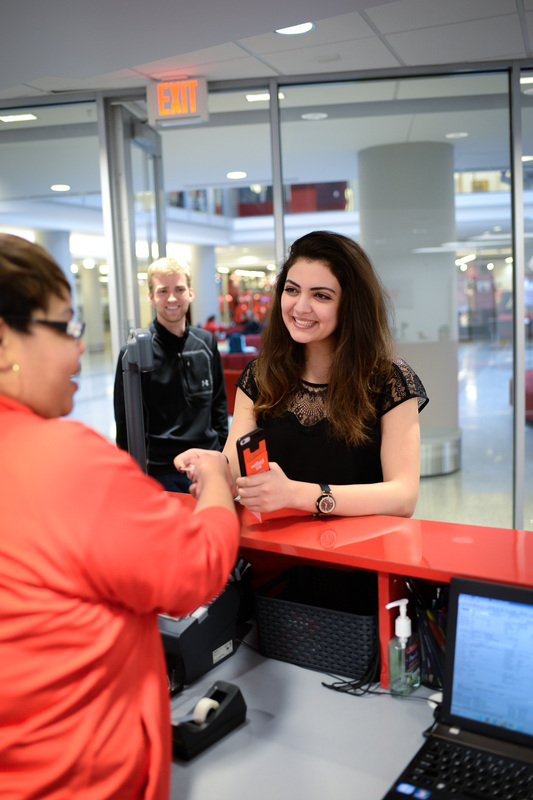 NC State has a payroll deduction program that enables full-time, permanent faculty and staff make purchases at various locations around campus, including NC State Dining, NC State Stores (Wolfpack Outfitters, State of the Art and Wolf Xpress), Wolfprint, Health Services, and the College of Veterinary Medicine. This also includes many campus vending machines. NC State Dining offers a discount for payroll deduction participants, and the NC State Stores offers special financing on large electronic purchases. To learn more and sign up for payroll deduction, visit go.ncsu.edu/payroll-deduction. Bank with PNC? You can now link your debit account to your ID card. Current and new PNC customers can get a new Wolfpack One ID at no charge when you link your account. PNC offers an attractive banking program to NC State employees and their families. Stop by the PNC branch in Talley to learn more or go to pnc.com/ncstate. golf teams. Staff are invited to use the facility in a variety of ways. Play Enjoy special daily rates and package plans. Learn Sign up for group or private lessons, clinics and leagues. Meet The clubhouse has several rooms for workshops and training sessions should your department want to plan an off-site meeting. Dine The restaurant is great for lunch or an after-work meet up, or brunch on the weekends. Entertain Host a small wedding reception or family gathering. 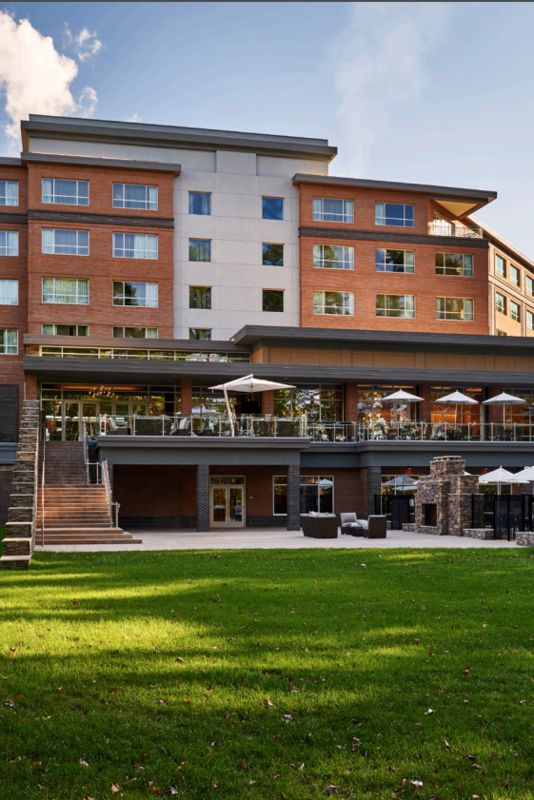 The new StateView Hotel and Conference Center, an Autograph Collection Hotel is located on Centennial Campus near the Park Alumni Center. The StateView is a comfortable oasis with luxurious guest rooms and added amenities that can transform a good stay to a great one. It also features meeting spaces perfect for on-site programs as well as a restaurant. Use the code NQA to get the best rate. Visit stateviewhotel.com for details. Rave! Events provides event management, catering, setup and audio/visual support to ensure the success of events held in spaces such as Talley Student Union, Hunt Library, Park Alumni Center and Lonnie Poole Golf Course. Rave! Events also provides catering across the campus including the Chancellor’s residence, McKimmon Center and other spaces upon request. Our award-winning culinary team has a variety of menu options from which to choose. If your job ever calls on you plan a lunch meeting, all-day planning session or event of any kind, Rave! Events can provide the right location and support. Peruse our website — rave.ncsu.edu — for menu and site options.